Midhuna Titus, a 20 year old girl from Puthiyathura, a small village in Neyyattinkara Taluk, Thiruvananthapuram District, Kerala. She completed her Plus Two from Govt. VHSE, Poovar in Thiruvananthapuram. Her family includes her parents and an elder brother. Her father is a fisherman and he hardly earns Rs. 1500 per month and this is not enough for the family. Her mother is a house wife. Life is very miserable for the family for obtaining the most basic needs. One day, our mobilization team reached near her house and unexpectedly we met her. We felt that she can be able to come up in life and we decided to motivate her. We explained about our course and job opportunities. She is calm and shy by nature and a bit difficult to get her communicates and she was not interested to attend our course. We regularly visited her parents and at last she agreed to come to our center. During the course she becomes very active and communicated well with everyone. After she passed out of course, she overcomes all the challenges and her confidence returned. 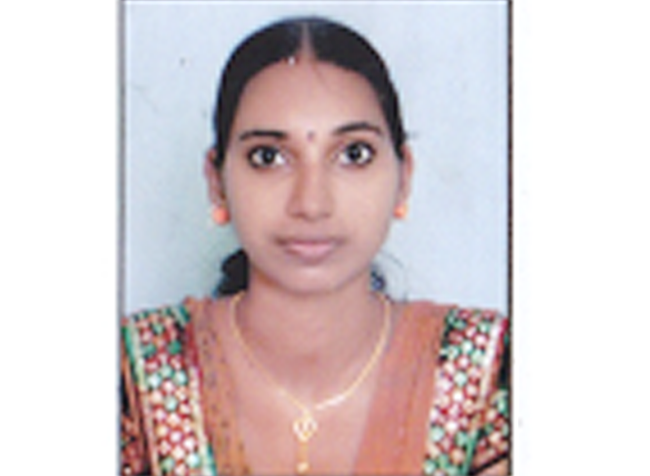 At the end of the course, trainers arranged a job interview for her in Jayalakshmi Silks, Ernakulam in which she was selected as Sales girl with a starting salary of 7200/-per month. She cheerfully accepted the offer and continues with work with great dedication and commitment. Her HR Mr. Vipin Kumar was so impressed with her. Midhuna is deeply attached to her family. She is willing to fulfill her family’s requirements with her salary. Her salary will be a big support to the family. She is satisfied with the work there and willing to continue there.